Baldwin has a 60 year legacy of craftsmanship and innovation. 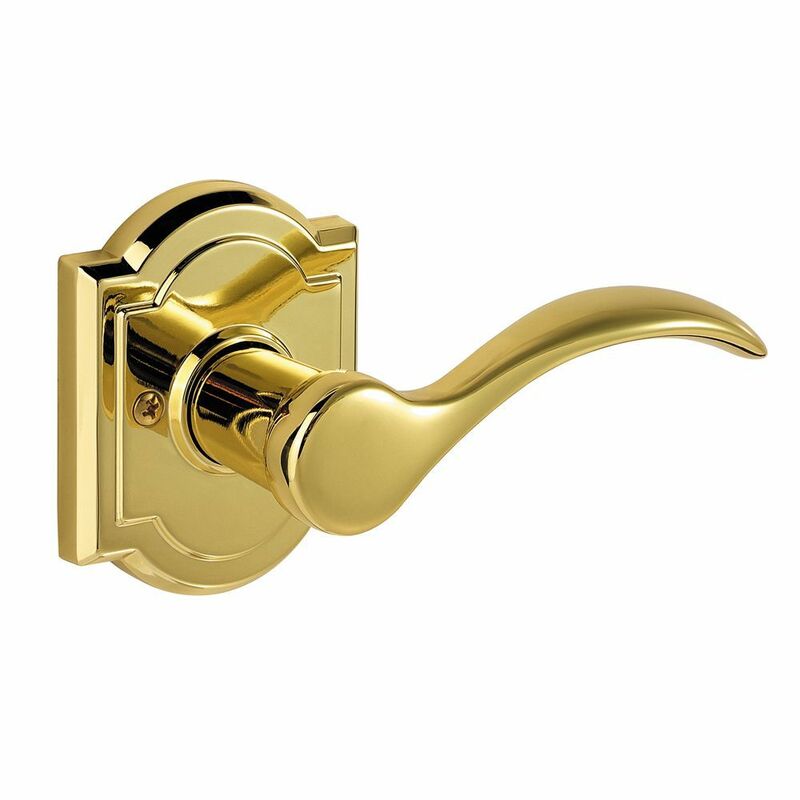 Rated #1 in quality by builders and contractors, Baldwin is pleased to offer a line of luxury hardware for the discriminating consumer, our Prestige Series. Feel the difference - Baldwin hardware is solid throughout. With a 60 year legacy of superior style and quality, Baldwin is the choice for an elegant and secure presence. Tobins refined curves and sleek contours are delightful to the eye and pleasing to the touch. The Polished Brass finish adds to the traditional look and feel of the product and makes a classic statement. The dummy, or inactive function, is surface mounted on doors where only a pull is required. Prestige Tobin Polished Brass Right-Handed Dummy Lever Baldwin has a 60 year legacy of craftsmanship and innovation. Rated #1 in quality by builders and contractors, Baldwin is pleased to offer a line of luxury hardware for the discriminating consumer, our Prestige Series. Feel the difference - Baldwin hardware is solid throughout. With a 60 year legacy of superior style and quality, Baldwin is the choice for an elegant and secure presence. Tobins refined curves and sleek contours are delightful to the eye and pleasing to the touch. The Polished Brass finish adds to the traditional look and feel of the product and makes a classic statement. The dummy, or inactive function, is surface mounted on doors where only a pull is required. Prestige Tobin Polished Brass Right-Handed Dummy Lever is rated 5.0 out of 5 by 6. Rated 5 out of 5 by Lynn from Upscale on the door.... Upscale on the door. Rated 5 out of 5 by Katya from High quality - just as described. PERFECT! High quality - just as described. PERFECT! Rated 5 out of 5 by jcojr from Baldwin products are top grade and this item is no exception. The finish is smooth and uniform. T... Baldwin products are top grade and this item is no exception. The finish is smooth and uniform. The handle feels solid to the touch and installed without a hitch. It is worth the few extra bucks to upgrade from basic construction grade brands and go to Baldwin. Rated 5 out of 5 by CSG549 from Best Purchase They work really well on the heavy doors they were installed on.